When it was announced that the thrash metal legends Slayer would officially retire after a final world tour, the band ’s concerts across the country began to sell out, and their OC stop at Irvine’s Five Point Amphitheater on Friday, May 11 was no exception. Despite the overcast rainy weather, and horrible traffic nightmares it inevitably brings, 12,000 rabid Slayer fans waited for hours to catch their headbanging heroes play live, for what could be the last time. This would be one for the books, and as the fans packed into the outdoor venue at 5 p.m. when opening band Testament came on, there were still thousands arriving and even more tailgating in the parking lots, though the Irvine PD did a good job at intimidating people into keeping it fairly mellow, considering this was the last Slayer concert. One constant was that all throughout the day and until the last song of the evening, one could hear the chants of “SLAYER!” throughout. Although thousands of fans moshed away to Testament and other openers, classic NYC thrashers Anthrax, and Polish Satanic black metal group Behemoth, by the time Lamb of God came on around 8 p.m. it was already dark and the drizzle was starting to pour down. As expected, Lamb of God did an excellent job of keeping the crowd pumped, and the moshing was instant, from the time the band came out to the last song. 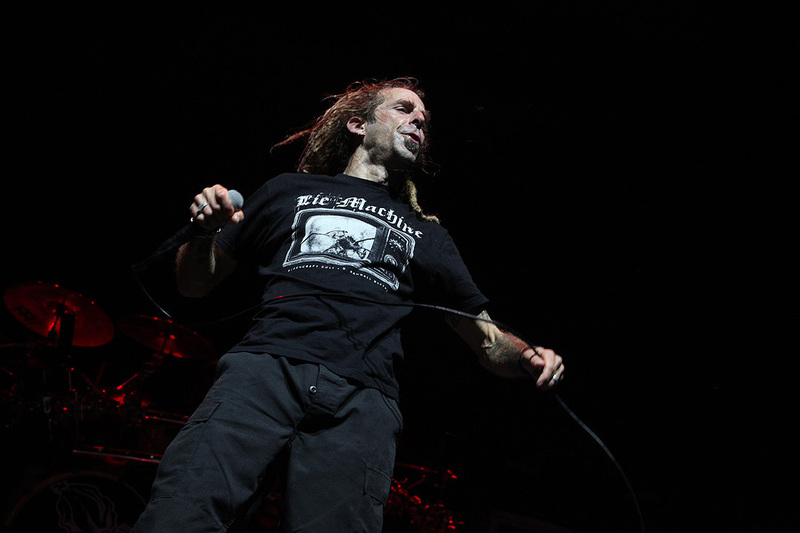 Things got so rough almost halfway through the set, that singer Randy Blythe decided to stop the show during the song, ‘Walk With Me in Hell’ when a fan was injured in the pit. The singer had the crowd make way to let paramedics in, and the man was taken out on a stretcher. As the band continued, Blythe reminded fans to take care of each other out in the pit. Before Slayer took the stage in front of a sold-out show in Irvine, Full Metal Jackie from KLOS 95.5 made a brief introduction, for the band everyone came to see and chaos erupted in the crowd even before the first song began. 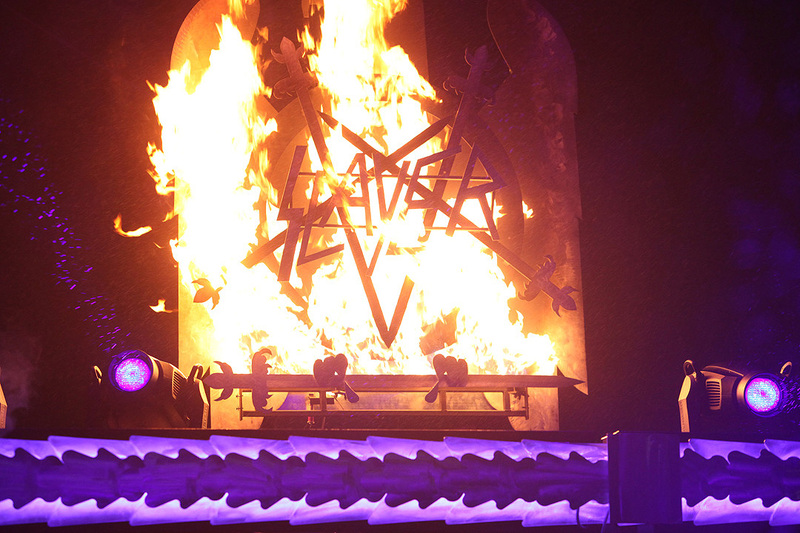 Guitarists Kerry King and Gary Holt, along with bassist Tom Araya and drummer Paul Bostaph all appeared to chants of “SLAYER!” and began pulverizing the place with the thrash metal music they helped to create. 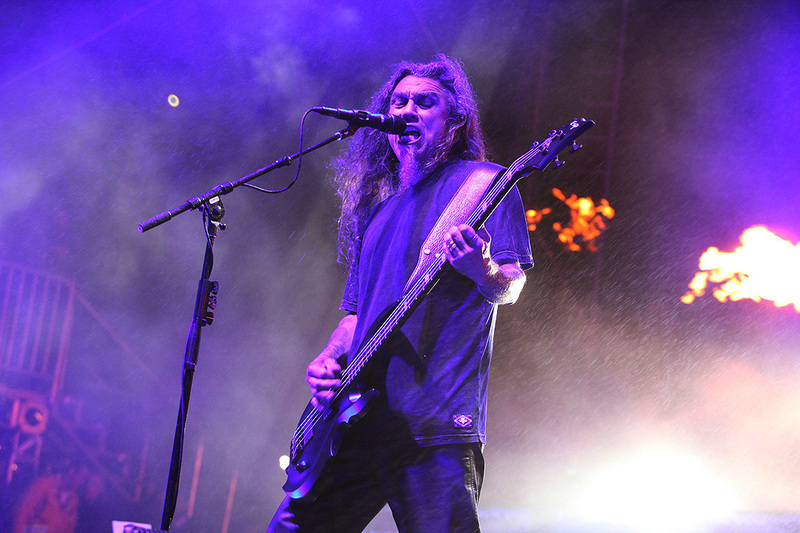 As the songs kept coming the fans kept spinning, it was as if the rain was soaked up by the mosh pit, and even lead singer Tom Araya apologized for the weather. But, the moisture in the sky did not stop fans from slam dancing extra and forcing circle pits to open up on the entire grass field in front of the stage. Many fans were trampled but eventually were helped up and either moved or were swallowed up by the raging mosh pit. The crowd surfing was at an all-time high during Slayer’s energetic performance. Without any disrespect to thrashing axeman Gary Holt who did a stellar job, there was a notable difference in the band’s sound with the tragic loss of original late l guitarist and founding member Jeff Hanneman and drummer Dave Lombardo. But even that didn’t matter for fans in attendance at the show in Irvine. From the gray-haired old school heads who saw Slayer ’s first gigs in the early ’80s, to the teenage kid wearing a Slayer shirt and sporting a mohawk to the proud grandma wearing her SLAYER tank top, all these fans cared about was seeing these middle-aged thrashers live for one last time. 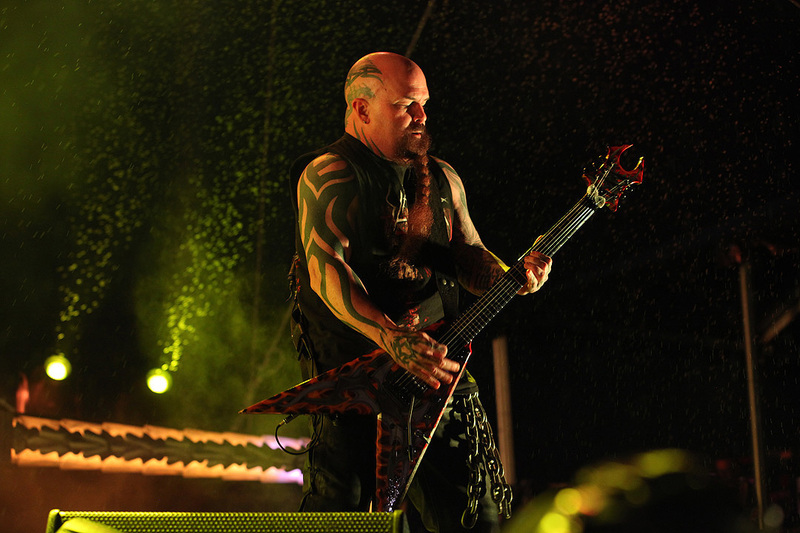 Slayer performed like there was no tomorrow for the fans in Irvine, blazing through a career of songs that spanned more than three decades. From newer tunes like “Jihad,” “Disciple,” and “Repentless,” or classic Slayer hits like “War Ensemble,” “Mandatory Suicide,” “Dead Skin Mask,” and “Postmortem,” fans reveled in the spirit of the music, and even got to hear a few old school songs like “Black Magic,” and “Chemical Warfare,” as the pit engulfed thousands of rabid fans: men and women young and old slam dancing like there was no tomorrow. After a stellar performance for the last time in the OC, fans were still pumped and the band took a few minutes to toss of their guitar picks and drum sticks to the fans, as chants of THANK YOU SLAYER could be heard echoing in the air. Not known to be men of many words without the thrash metal music behind them, the band took time exiting the stage, but only frontman Tom Araya away said a short, but emotional and heart felt thank you for the fans continued support over the years. You could tell he was tearing up being on the stage for the presumable last time in Southern California. This was a good way to bring an end to an era. Long Live the Kings of American Thrash Metal, SLAYER!!! !